23 high school students from Norway, Italy and Switzerland arrived at CERN today, 22 May 2018, to take part in a unique cosmic project: the assembly of a PolarquEEEst detector. This special device is designed to catch the intense flow of cosmic rays that bombard the Earth above 80°N. This summer, the PolarquEEEst detector will head north on board sailboat Nanuq for a scientific expedition to Iceland, Svalbard and Norway. Over the next four days, the students will become experts in cosmic ray physics. Their programme includes lectures on cosmic rays by important physicists such as Professor Nino Zichichi, founder of the Extreme Energy Event (EEE) project, and Professor Thierry Courvoisier, astrophysicist from Geneva University and passionate arctic sailor. 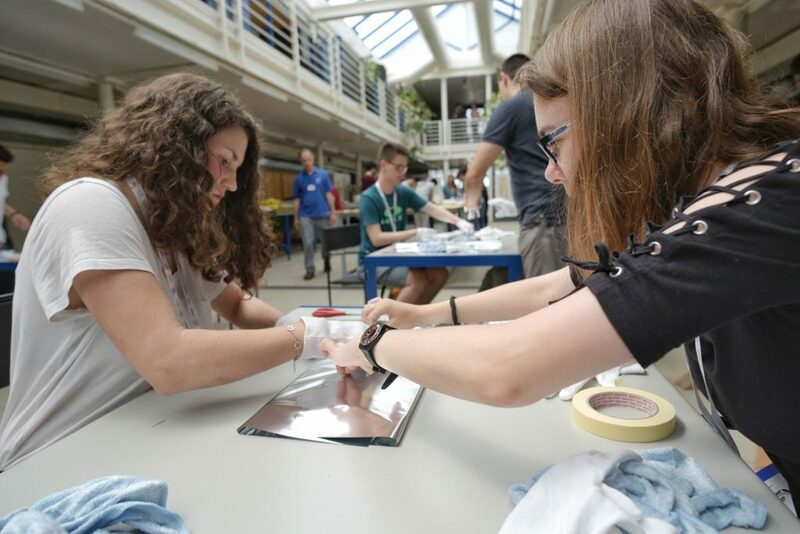 However, the students will spend most of their time with their hands on the detector components! 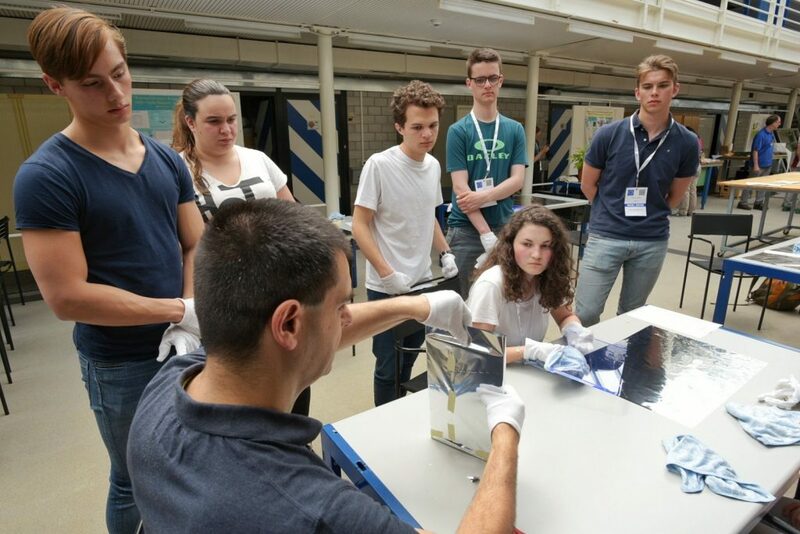 PolarquEEEst is an extension of the EEE project coordinated by Centro Fermi, which gives students hands-on experience with detector technology. 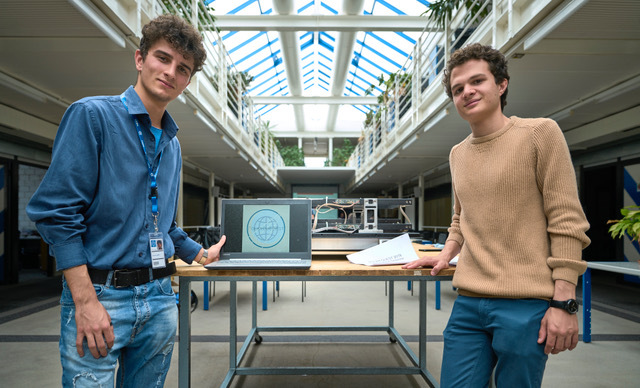 At CERN, the students will build one fully-functioning prototype, test it to check that it catches signals from the cosmos, and attend a data analysis masterclass. Three identical PolarquEEst detectors will be built: one to sail on Nanuq, one to be installed in a school in Italy, and one in Norway. All three are necessary, as they will simultaneously record muon decays originating from high-intensity cosmic ray showers from different locations. “We are doing something really original and really crazy,” said Professor Rosario Nania of Centro Fermi. “We are building a prototype, compact cosmic detector that has to consume a maximum of 10 Watt and withstand waves on board Nanuq, sailing in extreme conditions close to the North Pole. 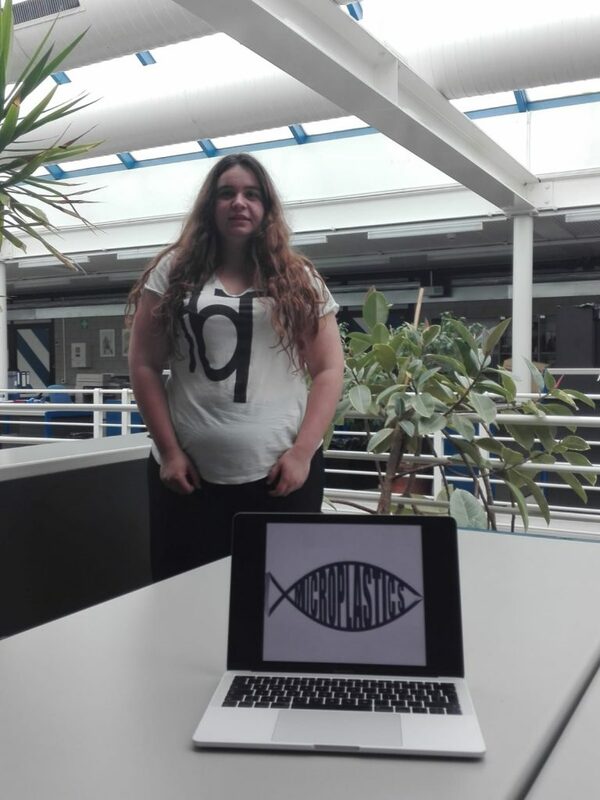 On top of that, it is being assembled by young students who know next to nothing about the subject.” This unique combination of efforts may well be the recipe for breakthrough discovery. After all, fortune favours the bold! *Horten, Nesodden and Sandnes high schools in Norway; Collège Voltaire de Genève in Switzerland; and Liceo Marconi Foggia, Liceo Marconi Parma, Liceo Scacchi Bari,Liceo Duca degli Abruzzi Treviso, liceo Galileo Ferraris Torino and Liceo Giolitti-Gandino Bra in Italy. In March, PolarQuest launched the Mission Patch Competition. Participants were challenged to design patches for each PolarQuest experiment! Congratulations to the three winners! Elena, Jacopo and Francesco are currently at CERN, taking part in the assembly of the PolarQuEEEst detectors (see images).